Organic pineapple in organic juice leaves a sweet pure MD2 Golden flavour. Costarican nature brings pure flavours that we translate into our canned and frozen products. 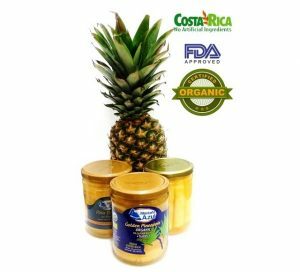 Montana Azul Organic products step into the organic food world stage through the sliced pineapple in glass jars and metal cans, for every format: Retail, Horeca and as per yoir specs. 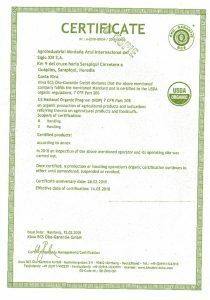 Other products can be offered also because the facilities have been certified to produce all kind of organic sourced fruits and vegetables. 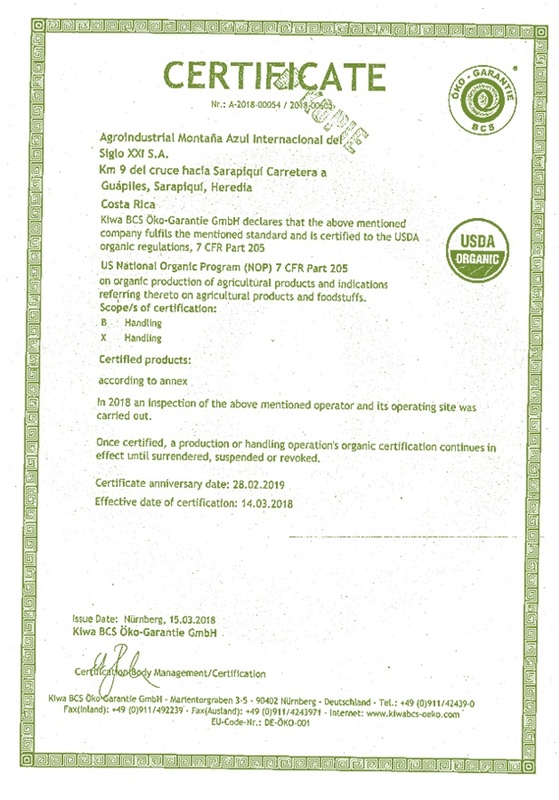 KIWA is an organic certification that helps Montana Azul to enter into a new level of healthy foods. The certification is renewed every year.